The engine was now swinging in the cabin blocking the kitchen and settees, the power was disconnected, the water tanks were empty, and we didn't have a bed. We would have to get a hotel until we could sort this out. We found the cheapest weekly hotel we could find which luckily was not far from the marina. That cheap smelly one star room felt like a luxurious spa vacation. Running water, hot water, refrigeration (we could eat dairy! ), a shower, air-conditioning, and walls to keep bugs out. We slept clean and pest free for the first time in a month. It was the first real nights sleep i'd had since arriving. This private little refuge from the elements made a huge difference in our problem solving capabilities and general hopefulness. It's amazing the toll heat can take on your brain's processing power. 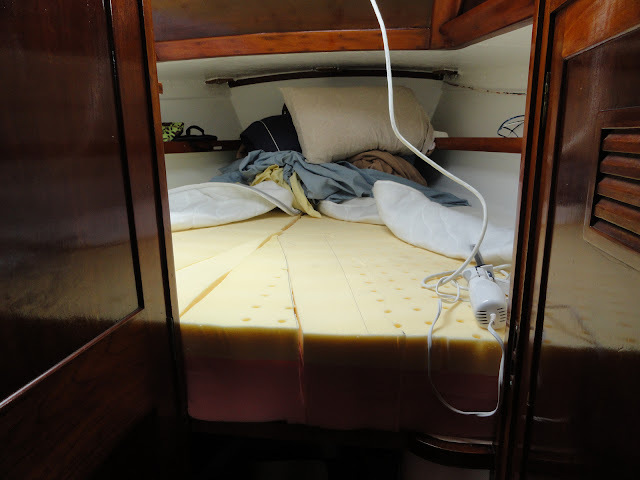 In order to return to the boat we had to remove the transmission, freeing a small space to stand behind the engine in the kitchen, and make the mattresses for the V berth. AJ still couldn't remove the bell housing even with the engine out. After a couple days he finally hired some professional help. In one hour he and the mechanic had it off. AJ went in search of someone to rebuild the transmission and I spent the days on the boat prepping the V berth. We decided to clean and paint it while it was empty of the old mattresses. 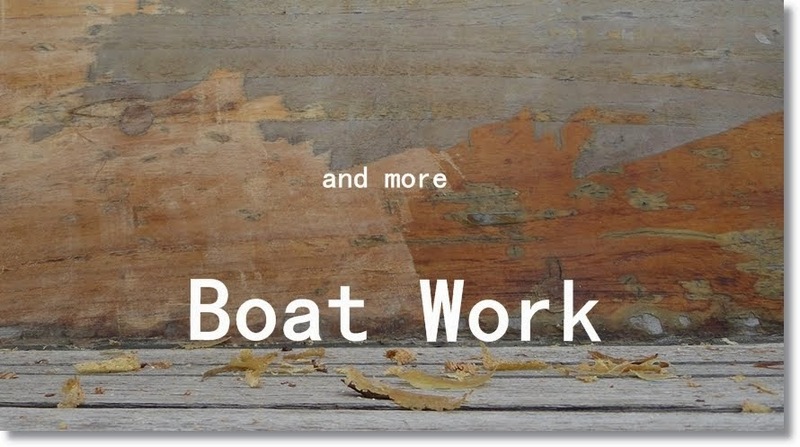 I scrubbed the mildew from the ceiling, chipped off what old paint I could, while AJ re-joined and sealed the deck to hull seam and caulked the anchor locker door and bulkhead. Then I scrubbed it all down one last time and painted the entire room with white bilge paint. 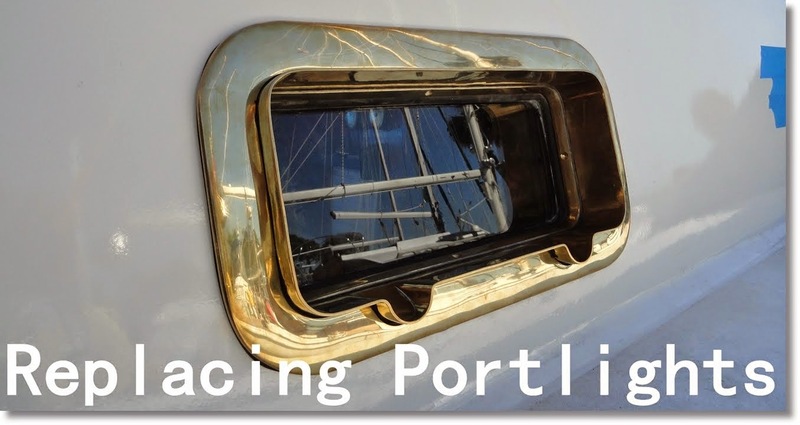 It is cheaper than yacht interior paint, but has the same hard glossy wipe-able finish. 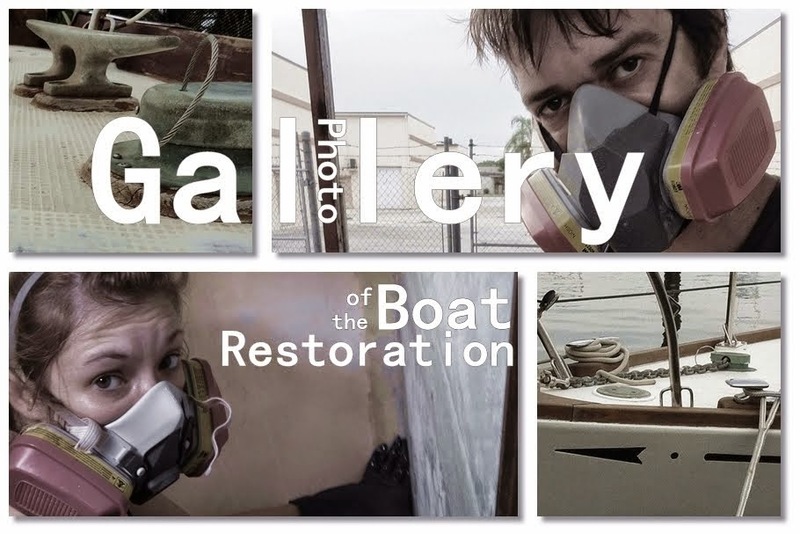 Bilge paint is pretty toxic until it cures, and will give you a sore throat in a hurry. The fumes linger for a few days so it is good we already had a hotel, because I don't think we could have slept on the boat after painting it anyway. AJ found a guy to rebuild the transmission, and we started on the mattresses. We have dreamy, perfect, pillowy-yet-firm foam mattresses that we had acquired in Germany and shipped halfway around the world just for this purpose. We brought them to the hotel and cut them down to the V berth dimensions with an electric turkey knife. Soon we were ready to check out and return to the boat. We managed to get the marina's skiff to haul the mattresses out to our boat. Getting them in and on was a mess. They had to be squeezed around the filthy engine. Once they were in we made the final adjustment cuts, and voila, a bed. A heavenly bed in a dreamy space-capsule of a room. It is a good thing we had to pull the engine out because all of the parts needed to be tested and inspected, and the engine room absolutely HAD to be cleaned and painted. It was a pit of sludge and grime. You could not see the walls or floor. The first cleaning session required shoveling and scooping 40+ years of engine grime piled high in the corners and pan. It also had an absurd amount of wires and hoses in a tangled mess. It seems that the old owner never pulled out the old when we installed the new. Weird. AJ ended up throwing at least half of them out. AJ started stripping the engine down to the main block. He removed the fuel injectors, fuel injector pump, raw water pump, intake manafold, exhaust manafold, engine mounts, and engine cradle. He took them around town to various places to be tested, sandblasted or remachined. Most of it needed work of some kind. We got overwhelmed with how much money this was going to cost. There was another major replacement that we had to do in order sail away. We needed a new mast. The previous owners got dis-masted and broke it in half. They had it sleeved, re-welded, and put it back up. 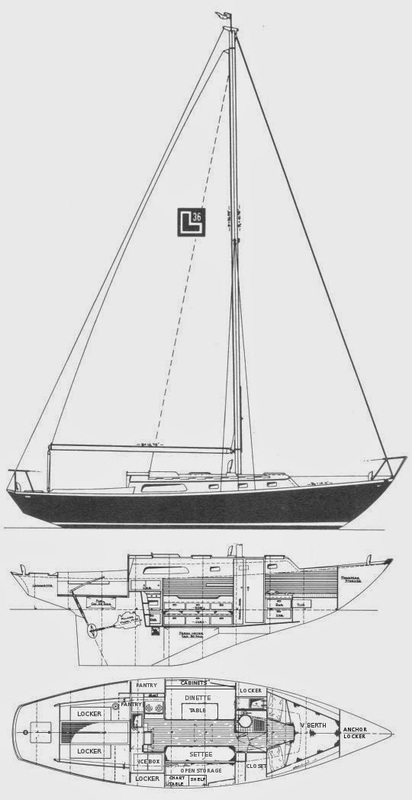 The weld is adequate in strength, but it created a bend in the mast. The bend must be "tuned out" with unbalanced rigging tension, and having such uneven tension on the stays made us nervous. It was fine for river sailing, and even some cruising, but it would not due for a long term, around-the-world mast. We had been keeping an eye out for a used mast of similar dimensions and debating whether or not we would step it ourselves by pullling up to a river bank with a tall strong tree, throw ropes over a branch or use a gin pole to hoist it up as Lee had done and recommended, or just hire a crane for an hour. But we had to deal with being able to motor before dealing with being able to sail. The engine was going to take the rest of our funds. We felt a bit sunk. We had tons of work to do and really no money to do it with. We were broke on a broken boat. But this is a situation we had known would come sooner or later, we just thought we'd last longer than 6 weeks. We had hypothesized about this in the years we spent formulating our plans. The whole point the boat is the low cost of living. No rent (if you can anchor) and no utility bills. 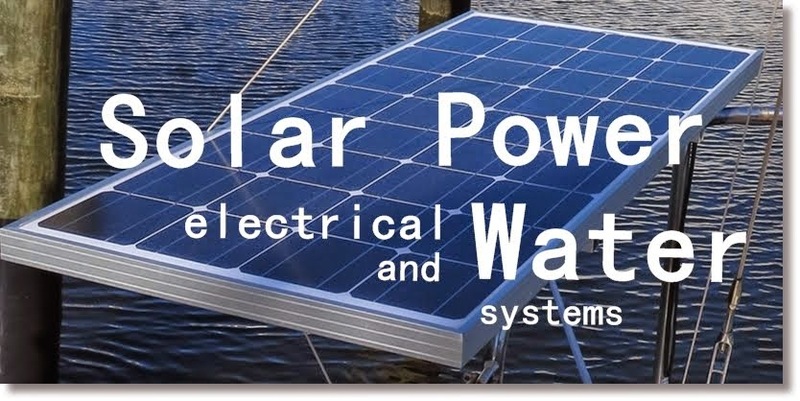 No monthly charges for the space-time you occupy, or the power you zap from the sun or wind. All you have to do is make enough money for food to simply self perpetuate. And that is easy. We were on the boat so we would not need much money in the first place, and could sink any cash flow straight into it. So while we would not be able to throw money at all the boats projects right now and sail away next month, what did it matter? We had our boat. We were stuck on it with only one course of action open to us. Do whatever you have to do to fix the boat and sail away. We have no timeline or obligations. We plan to sail indefinitely, so what's a few months to prepare the life support vessel that will carry us for years to come? We weren't homeless after all, we were just broke. But an immobile boat with no power or water did land AJ in the homeless classification at the VA. I could not help laughing out loud at that appointment when he told them where we lived and they listed him as homeless and gave us food vouchers. Listening to him describe our living conditions to a stranger really brought home how strange we were. He was an unemployed homeless Vet of two foreign wars living on a broken boat. (who hasn't had a haircut since he left the army in March) The vouchers were actually incredibly helpful. They gave us some cans and dry goods. yay. With the list of things that required time work and money piling up fast we were feeling pretty far from the ocean breeze or fishing with Pacific Islanders, but we were still on the direct path to get there. We would have to find work and keep plugging away. 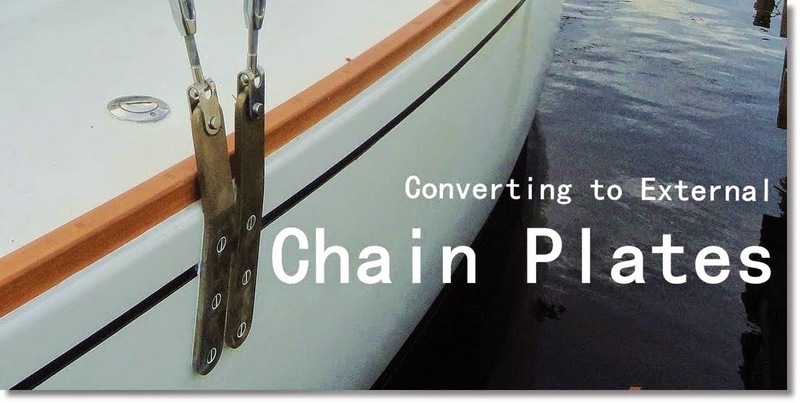 Though, I am really looking forward to days spent learning about tuning sails and celestial navigation - rather than solvents, degreasers, rust reformers, primers, paints, adhesives, fiberglass and diesel mechanics. I have to remember sometimes that all of this is to one day get to see the night's sky from the middle of an ocean. The filth, the heat, the parasites, the toxic chemicals, all for a glimpse of the Galactic Center of the Milky Way. Hang in there! It'll all be worth it. Also, can you link the source on those mattresses? They look super comfy. Thanks! There is a foam cross section image for each of them to give a better idea. We love them! Love your blogs name by the way!